The four artists listed below all fall outside of what we would characterize as typical for Santa Fe. 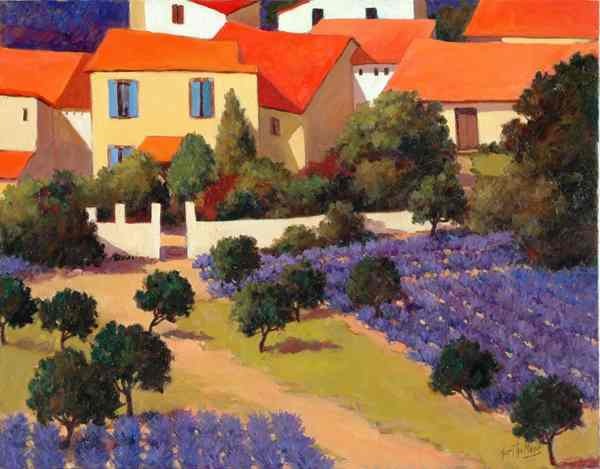 Martha Mans paints bright realist works of landscapes ranging from her hometown in Colorado to villas in France and Italy. The paintings are on average 30" x 36" and prices are under $5,000. 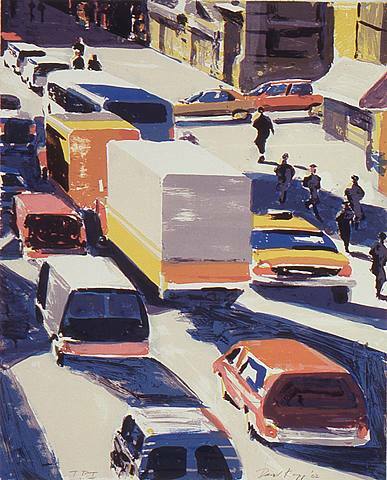 We were surprised and excited to find David Kapp's paintings of New York City. He has captured the pace, crowds and congested traffic of the city for several decades. He often times uses an elevated vantage point to capture light, movement and shadows. Joshua Rose uses the circle as a vehicle to carry all of the competing notions of clarity and confusion. He cites it as a symbol of the Sun, the Moon, geometric perfection, the cycle of life, eternal love. This body of work uses acrylic paint and glitter on paper, mounted on panel, to create images that demonstrate movement. Prices range from $2,500-$7,000. Naida Seibel's work consists mostly of clay sculpture: masks, vases, miniature houses and other figures. 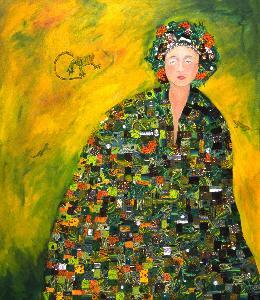 The works that interest us most are the Art Noveau Klimt-influenced images of women. 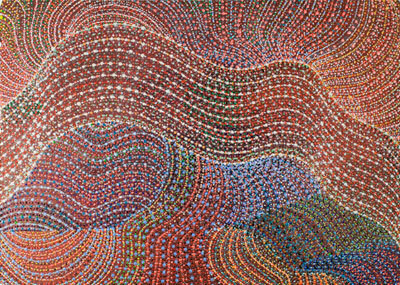 These acrylic paintings incorporate fiber, beads and mirrors to create exciting variations of familiar images. Work is available by all of the artists listed above. Prices range from $1,000-$10,000. Tag-arts has further information and additional images.